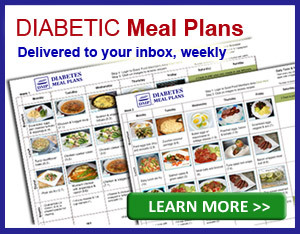 Sweet Potato for Diabetes: High Carb, High Blood Sugar?! While we'd love to say eat sweet potatoes, they're great for diabetes! 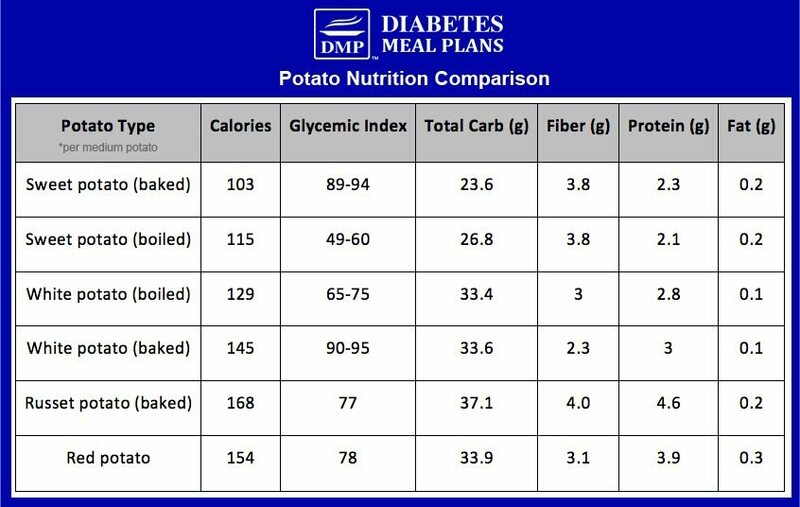 The sad truth is, sweet potato is a high carb food and that basically equals high blood sugar for you. That's the simple equation but read on to discover the nutrition facts, potato comparisons and research around sweet potato for diabetes and prediabetes. Sweet potatoes are a high carb food. There are many different types of potatoes, from the basic white potato to purple potatoes, red potatoes, and sweet potatoes, among many others. Like all potatoes, sweet potatoes are root vegetables that are easily recognizable because of their bright orange color. Potatoes may vary in size and color but they all have one thing in common: they’re all starches, which means they are going to crank up your carb count, very fast! Not surprisingly, sweet potatoes are heavy in carbs and not so heavy in the proteins, fats, or fiber department. A high carb food that’s lacking in dietary fiber is not conducive to good blood glucose and A1c control. The carbohydrates found in starchy foods, like sweet potato, may break down into glucose a little bit slower than the carbs in a sugary soda would, but that doesn’t mean that you can down a plate of potatoes without bearing some major consequences. In fact, even one medium sweet potato will likely tip the scales, sending your blood sugar soaring. We often encourage a maximum of 20 grams of total carbs for an entire meal (give or take a little), so at 23-26 grams for just the one sweet potato, you don't have much room to add anything else. Not to mention, it's not the type of carbs we encourage. So why are we banging on so much about carbs? Quite simply because carbohydrates are the nutrient that influences blood sugar and A1c the most. 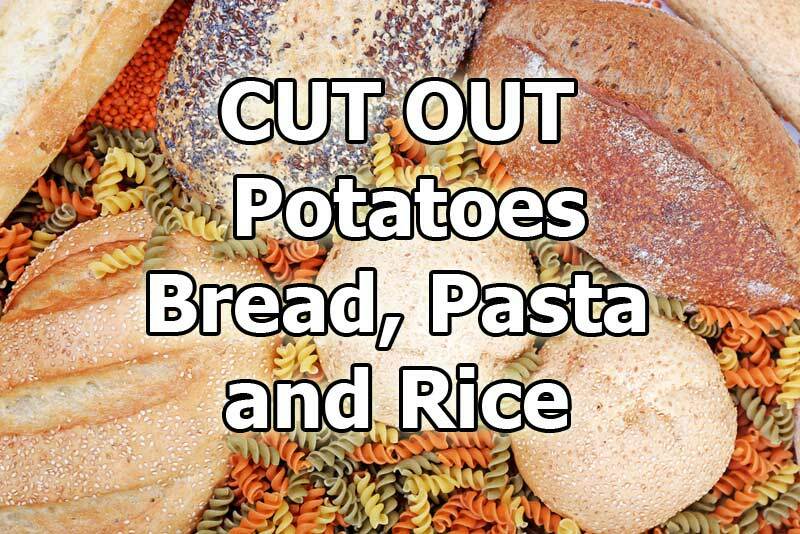 Since you likely want to achieve lower blood sugar and A1c levels, a fast way to achieve it is cut out your high carb foods – potatoes (including sweet potatoes), pasta, rice and bread. Instead, focusing on high-fiber vegetables as your main carbohydrate source. And when you do, chances are your numbers are going to turn around, very fast! The number of carbs isn’t the only reason to steer clear of sweet potatoes (and potatoes in general). These starchy root veggies also come with a hazardously high glycemic index, especially when you bake them. The glycemic index of a food expresses how quickly that food will cause your blood sugar to rise. A low glycemic index (foods that spike blood sugar slower) is anything below 55, while a high GI (foods that spike blood sugar fast) are foods above 69. Between 55 and 69 is medium GI, but really, they are still high. When it comes to potatoes of any kind, the glycemic index (GI) is pretty high. Take a look at this chart and notice the GI value for each potato – high, medium, high, high! Okay, sweet potato is a little better than white potato varieties, but it's still not like a carrot, which cranks in at just 20 GI and is packed with fiber (1.7 g) and low in carbs (6g per medium carrot). The colored potato varieties always come in lower GI, which researchers suggest is due to their polyphenol content. Interestingly, sweet potatoes that are boiled rather than baked have drastically lower GI values, as a 2011 study showed. When baked they can be up in the 80-90 GI ranges, while if you boil them, it can reduce them down to around 50 GI. Baking sweet potatoes changes the makeup of the carbohydrates inside them, making the potato taste extremely sweet and turning up the sugar content. Similar studies on potatoes have shown that when you cook and cool potatoes and either eat them cold or reheat them, this reduces the GI value. 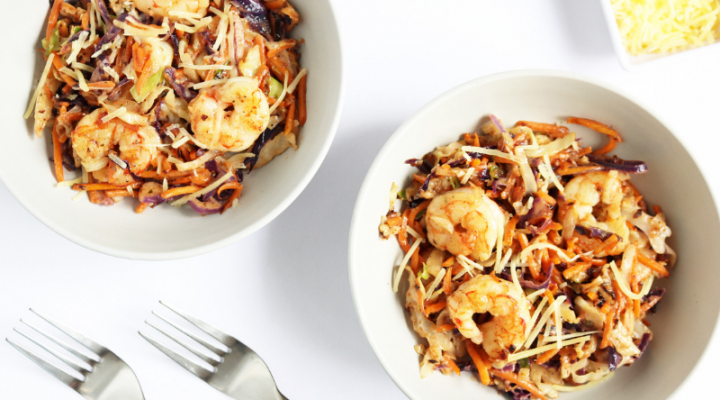 The cooking and cooling process increases the level of resistant starch – so that's a little trick if you do want to indulge. Still, reducing the GI doesn't reduce the overall carb content. But if you are going to eat them, boil them! And even better, boil them, then cool them. Please pin, share or tweet; then keep on reading – thanks! Tubers like sweet potato have been a staple in the diet for centuries, and certainly sweet potatoes do contain beneficial nutrients. Studies have shown sweet potato extract lowers hyperinsulinemia (high insulin levels) by up to 50%, and can also help reduce insulin resistance and improve glucose tolerance. However, this is sweet potato extract, so the subjects (rats in this instance) were not exposed to the large amount of carbs that sweet potato provides, which would no doubt mitigate these positive benefits. Sweet potatoes also contain anthocyanins, color pigments which provide various positive health benefits. These pigments can also be found in many other red/orange and purple colored vegetables, vegetables with much lower carb content. Sweet potatoes are also a rich source of vitamin A/ beta-carotene, but again, this can be found in other yellow/orange vegetables, too. In terms of benefit for treatment of type 2 diabetes and prediabetes, there is no research. Quite simply because sweet potato has no benefit for blood sugar and A1c control. What we do know is that the nutrient that influences blood sugar and A1c levels the most is carbohydrate. So the simple equation is that the fewer carbs you consume, the fewer blood sugar fluctuations you will experience, and the more likely it is you will achieve healthy blood sugar levels. 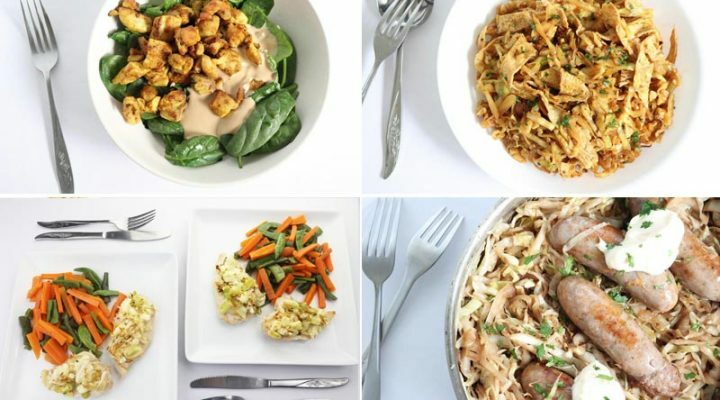 Here at DMP, we encourage a low carb diet because low carb diets have been shown to produce great outcomes, above and beyond most other diets – lower glucose levels, lower fasting glucose, better overall glucose control, lower A1C levels, optimized cholesterol, greater weight loss, and reduction of medication. Low carb diets have also been associated with reduced insulin resistance, which is an accompanying factor for many people with type 2 diabetes and prediabetes. 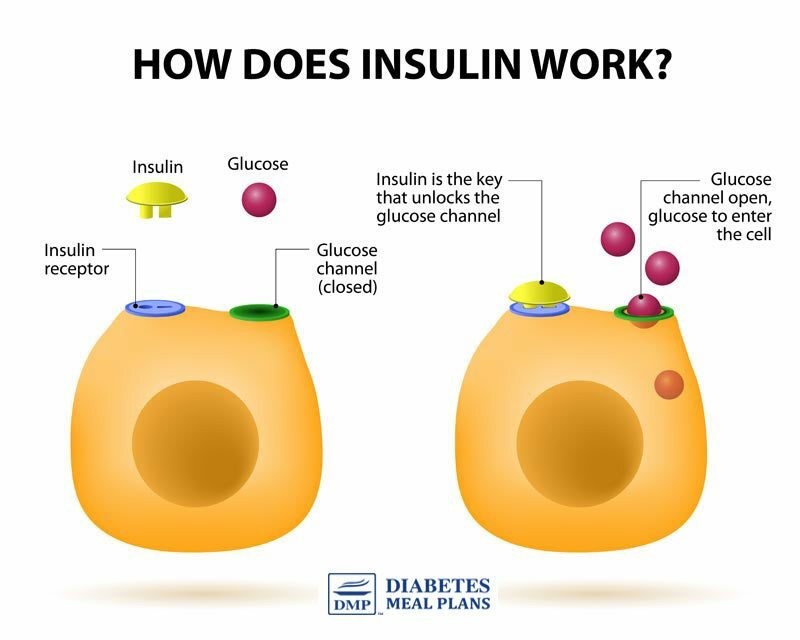 Insulin resistance is when insulin can't unlock the cells in your body, to allow the glucose in, removing it from the bloodstream. Therefore, reducing insulin resistance is another goal of treating diabetes and prediabetes. Because once your cells become more sensitive to insulin, the glucose in your bloodstream is able to enter the cells like it is supposed to, resulting in healthier blood sugar levels. 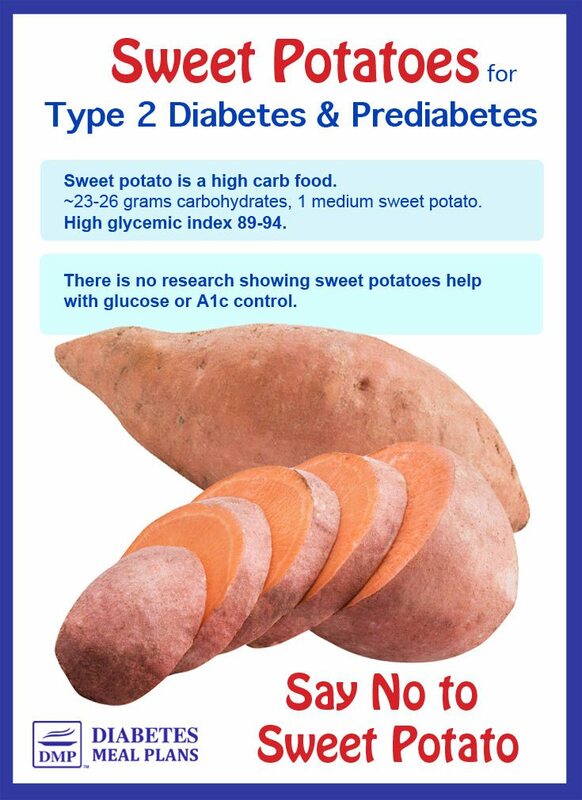 In any case, research doesn't support the inclusion of sweet potato in the diets of those with type 2 diabetes or prediabetes. It seems like common sense to avoid foods that are going to spike your blood glucose levels, right? Sweet potatoes are a high carb food with a high glycemic index as well. That means they won’t really support stable blood sugar. 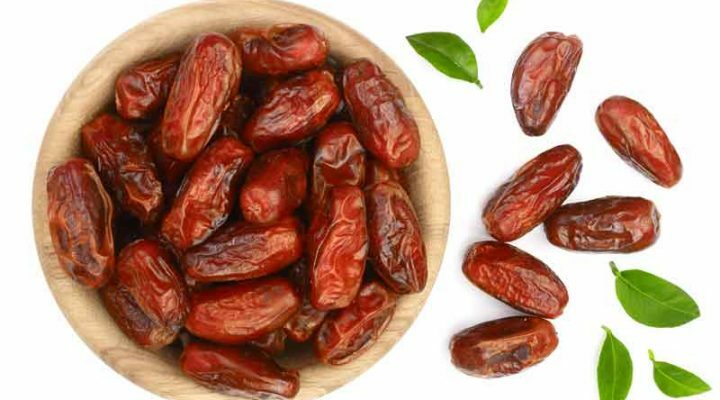 If you do feel the need to indulge, eat them boiled and control your portion sizes to at least help you maintain blood glucose control within a reasonable range. We encourage you to say no to sweet potatoes but say yes to dozens of other healthy low carb foods that will help you take care of your health! Please share this info to educate others – thanks! To me the picture you are showing are Yams. Are they Yams or sweet Potatoes? What are the specs for Yams? Many people think of the red/orange sweet potato as a yam, but they are actually a sweet potato. In any case, being that yams and sweet potato are similar tubers, they have similar nutrition facts. 1/2 cup cubed yams, around 19 grams carbs. I have heard yams are better for you than most potatoes. They are preferred in Japanese macrobiotic cooking. Could u do comparison including yams? 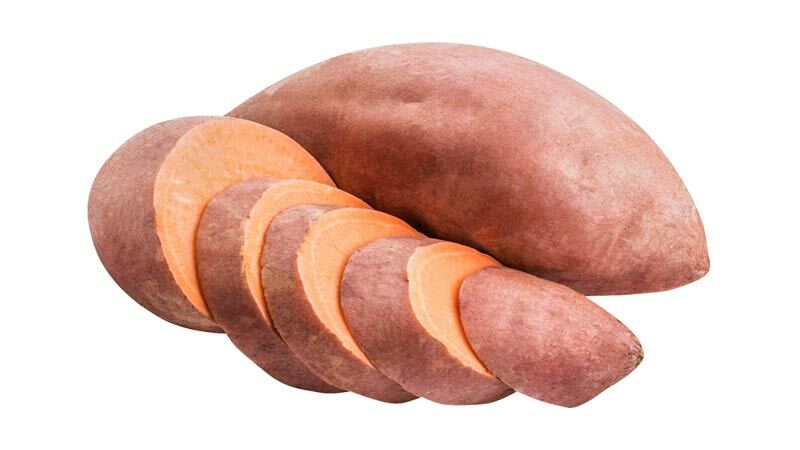 Being that yams and sweet potato are similar tubers, they have similar nutrition facts. 1/2 cup cubed yams, around 19 grams carbs. We will endeavor to include a comparison in future. I make a soup for my lunch at work. I put slice of onion in 3cups boiling water. Slice one peeled medium sized carrot. Then take 1/4 cup of can kidney beans washed thoroughly, 2 tablespoons of canned corn washed thoroughly, put in the pot. I put 1 tablespoon of brown rice in pot. I slice 1 stalk of celery in pot. I cut a medium russet potato and dice it. Put in separate pot and boil , strain off water and throw water away, put that pre boiled potatoes in pot with other vegetables. Put my favorite seasonings in , no salt. Put in 1/8 cup of rolled oats and 2 tbs of ketchup! I sometimes put in cut up precooked skinless white chicken meat or precooked boneless ham with salty fat water thrown away! Simmer a few minutes and put in my thermos for 2 servings. ? Is this a good soup to eat? What changes would you make to improve my soup? I had recent blood work and everything in my numbers is in range except my cholesterol was 210 and sugar was 105 fasting! I’m 62 years old! Exercise 20 to 30 minutes every morning for many years only missed 1 time was for my wife’s funeral! I’m 5′ 11”’ tall and weigh 217! I had a stress test done and my hearts normal with no images that are abnormal. I take a small dose of carvedilol 12.5 my daily as prescribed by my MD. I eat oatmeal every morning for breakfast for most of my life with my farm house cow! I eat apples and others fruits and some homemade baked goodies by my daughters! I have a pinched nerve in my low back. I have foot paid constantly! What do I need to change to keep my health ! Hi Rick, being that we encourage a lower carb diet, your diet contains several ingredients we don’t encourage. In our experience people would struggle to maintain good blood glucose control with eating items like oatmeal, baked goods, lots of fruit, rice, potatoes, corn and beans – as these are all high carb items. Take a look at this food list.